Finally Microsoft is re-branding its very popular online storage service SkyDrive and the new name would be OneDrive after losing its trademark dispute with BSkyB. There is no official launch date yet revealed by Microsoft. Its website says only that OneDrive is “coming soon.” Microsoft will take care about the current SkyDrive and SkyDrive Pro users' data for transferring to its new service on rolling out. All of users content will be available on OneDrive and OneDrive for Business respectively. Microsoft stated in the OneDrive blog, “we know that increasingly you will have many devices in your life, but you really want only one place for your most important stuff. One place for all of your photos and videos. One place for all of your documents. One place that is seamlessly connected across all the devices you use. You want OneDrive for everything in your life." OnDrive website blog states “One place for all of your photos and videos. One place for all of your documents.”. So it is expected that the new added feature could be related to photos and videos sharing. The following video will introduce you to the Microsoft's re-branded product OnDrive. Microsoft keeps relaunching its products with some added features and after a little bit modifications. 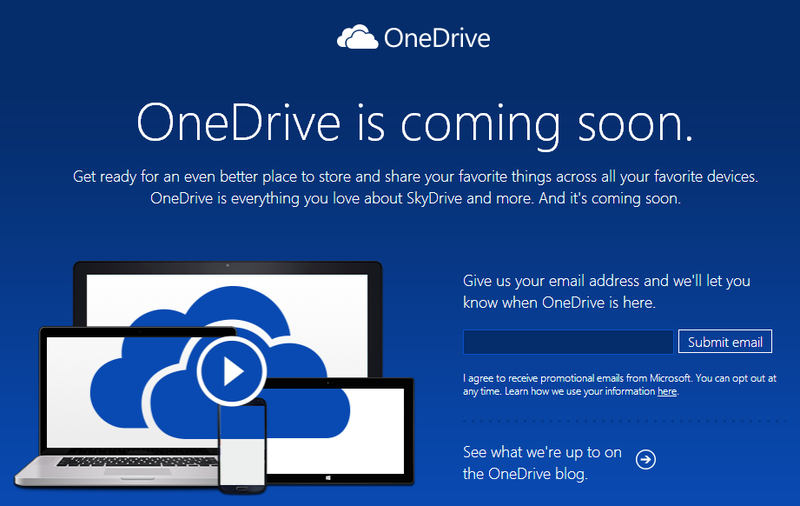 Lets see what extra can Microsoft provide users with the new OneDrive.